(800) 656-9862 Best Carpet Repair Lemoore Ca - Talk To Owner Now! If you live in Lemoore, or surrounding areas, please give us a call at (800) 656-9862 for any and all of your carpet repair needs. There is no repair job too small or too big! We will offer the best solution, at the best price, and back it all with a 100% lifetime guarantee! Please read on below to learn more about us. Has your cat or dog chewed up the carpet in your home? Over the years, have you developed buckles or wrinkles? Has water damage forced you to remove padding or carpet? Have you ever had sub par installation work done? 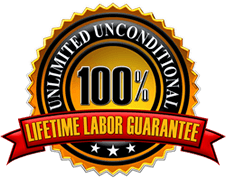 100% lifetime guarantee on all of our work. Please enjoy reading our reviews as well! We thank you in advance for choosing us!